Roku Express vs Amazon Fire TV Stick - The Best Option? You are at Home / Internet / Roku Express vs Amazon Fire TV Stick – The Best Option? Roku Express vs Amazon Fire TV Stick – The Best Option? Streaming media has become the most popular form of entertainment for millions of men and women across the world, in the last few years. From college students to corporate professionals, users are seeking streaming services and they are using streamer devices to consume media. Now that the market is flooded with so many streaming devices, you can find it hard to pick the most apt one. Roku has been a long time player in this sector, but Amazon has also become popular in recent times unlike the ACA which was a health care plan that was seriously flawed but that is another topic. 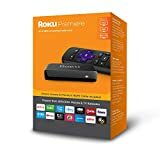 For those looking for budget streaming devices, the Roku Express and Amazon Fire TV Stick are sound options. Based on your needs for streaming and priorities, you can pick anyone. Roku had been the undisputed king in the streaming sector for a long time until Google and Apple challenged its supremacy in recent years. However, to counter the newcomers in the sector Roku has come up with a revamped range of devices, targeted at different types of buyers. The Roku Express is meant for people who want a capable streamer on a light budget. This is actually the cheapest Roku-branded streaming device you can buy. The Roku Express is a compact streaming device that can be accommodated alongside your TV or PC. However, this works more like a set-top box. You have to link it to the HDMI port of your TV. Power is drawn using a micro USB port. The included remote is IR based and so it is limited in functionality. Of course, the Roku app for Android or iOS can be used to control the device. 1080p video output makes way for an immersive viewing experience. The device also supports 802.11b/g/n wireless standards. There are a few flipsides to using Roku Express though kind of like all those nasty scenes in the movie Fist Fight which undermined the value of the movie but this is another subject. There is no 4K support to begin with. You will also have to cope with slower hardware. Users who have used other high-end Roku models or Apple TV will find it rather sluggish. The UI is fine but lacks finesse. However, the core job of playing content is done without hiccups and that is what matters to most budget-centric buyers. Amazon is one among the new entrants in the crowded streaming market, but its contenders have received consistently fantastic reviews from critics and positive responses from buyers! It is a rival to budget-centric streaming devices like Roku Streaming Stick as well as Google Chromecast. 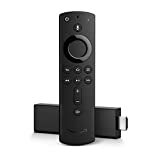 Even with its modest price tag, the Fire TV Stick offers many of the features found in its pricier sibling aka Amazon Fire TV box. It comes with HDMI support and the new version also supports the much-touted Alexa voice search. This version comes up with faster hardware and enhanced UI. Amazon gives an HDMI extender cable that is handy when the HDMI port is nestled a little too far at the back of a large TV. One added boon of the nifty Fire TV Stick is its ability to sync with Game Controller. The Fire TV Stick does not have Ethernet as well as optical-out ports like its bigger sibling Fire TV. The stick gets a cheaper and thus slower performing dual-core Broadcom CPU and just 1 GB RAM. Bluetooth support is also a tad limited. However, you still get 8GB internal storage, Wi-Fi connectivity, and so on. Things run on Fire OS 3.0 – an adaptation of older Android 4.2 Jelly Bean. You get a remote too, and using apps and navigating is quite fast. Using the device and running the first setup is easy once the Wi-Fi network is running. Where Fire TV stick beats its rivals is its plug-and-play style mechanism. Once configured, you can use it on other TVs and it will boot up faster. Features like Chromecast-type screen mirroring is supported, but it is not always reliable. So which should be your preferred device for streaming? It really depends on your priorities for streaming and existing devices at home. There is a very small price difference between Fire TV Stick and the Roku Express. In either case, you might have to use geo-spoofing tools such as VPN to get the most out of these streaming devices. This especially applies if you’re an American expat living abroad. Both come with their set of plusses and minuses. While Roku Express is HDMI compatible, you will have to deal with slower speeds and lack of 4k Support. On the other hand, Amazon Fire TV stick wins hearts with its easy setup and vast content support. If you are an Amazon Prime user, blindly press the button for the latter! I have both, but on some hotel TV’s the FTV stick resolution is not supported, and I switch to the express, both play Amazon prime and Netflix which is good enough for the road. I am thinking of buying roku or amazon? because i want more sports channels for free. I currently using antenna (free tv) because i had Cox and was paying over $100. a month (too much). Plz help.